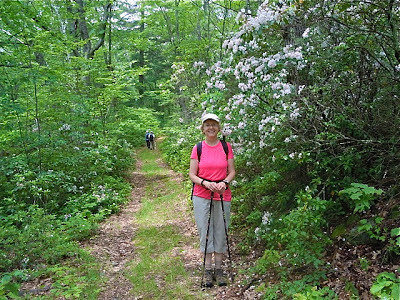 Berkshire Hiker: The Mountain Laurel is in bloom! Some bushes have white blossoms with the faintly pink buds. 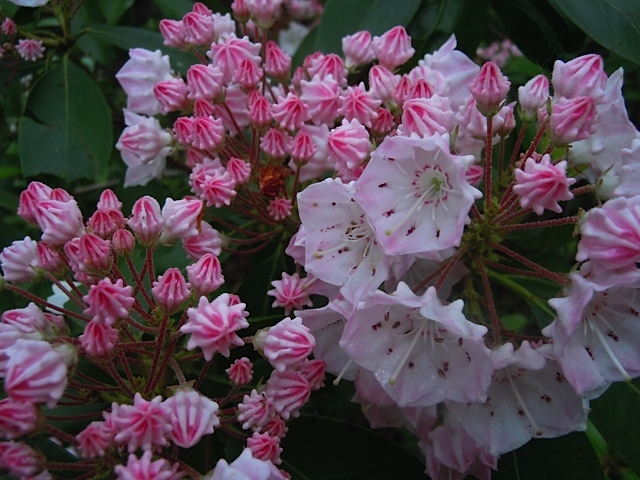 Other bushes have deep pink buds with light pink blossoms. 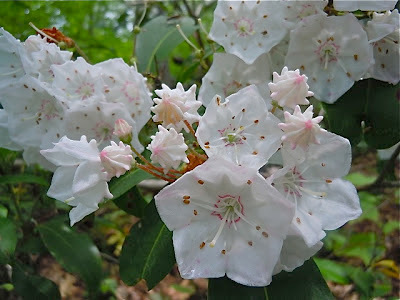 This year the mountain laurel is blooming lavishly. 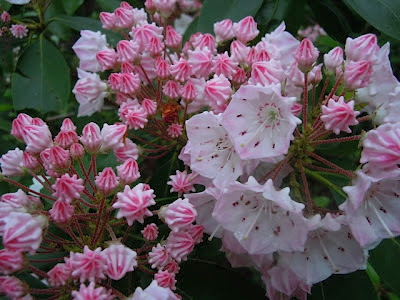 The pink buds open to lighter pink and white flowers on bushes that, in some areas, fill the understory. We walked for literally several miles through the flower-covered bushes. Because there were so many buds, I think the display will be beautiful for at least another week. 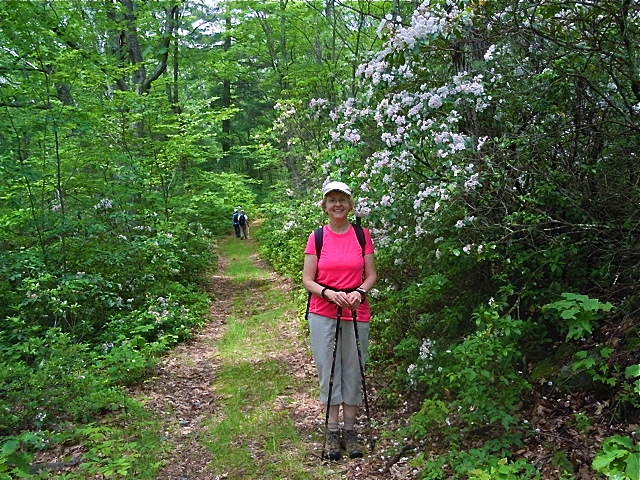 I walked with the Tuesday Berkshire Hikers (June 18) on the Appalachian Trail through Sages Ravine on the Mass.-Conn. border, and then took a side trail through Mt. Plantain in Mount Washington, Mass. Yep! That's me with the laurel bushes! Thanks to Janice Tassinari for the photos.